Khloe Kardashian is worried about Lamar Odom after hearing he is "hanging out with bad guys again". The 'Keeping Up With the Kardashians' star is scared her estranged husband will slip back into his old ways and admits she finds it hard to "trust" him. "Everyone wants to see Lamar do well and succeed at life. Everyone was routing for Lamar, except him ... Nothing is going to wake him up, that's just the way it is. This is Lamar." Despite feeling like Lamar is a lost cause, the 32-year-old television personality got a lot of support from her sisters. Kim Kardashian West suggested she or her husband Kanye West should pop round to talk some sense into him whilst Kourtney Kardashian insisted Khloe is doing the best she can. Kim said: "I'll go over there and talk to him or have Kanye talk to him. Maybe you shouldn't put so much energy into it. You can't baby him or be his mom." Speaking on Sunday's (21.08.16) episode of the family's E! reality show, Kourtney added: "It feels so good to let it go but at the same time, you don't want this person to die ... When it comes to Lamar, Khloé has given everything and tried everything. There's only so much that she can do." 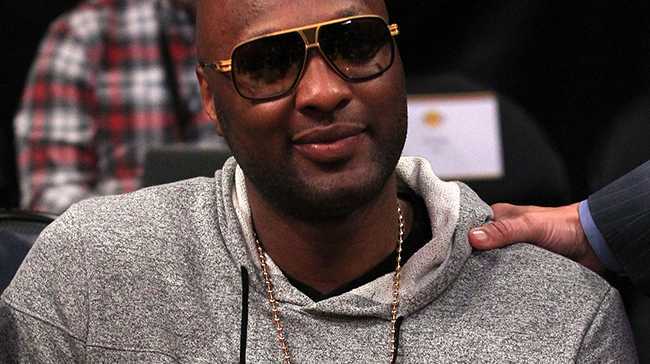 Khloe has been particularly worried about Lamar slipping back into bad habits ever since he was found unconscious after a drink and drug binge at a Nevada brothel in October 2015.